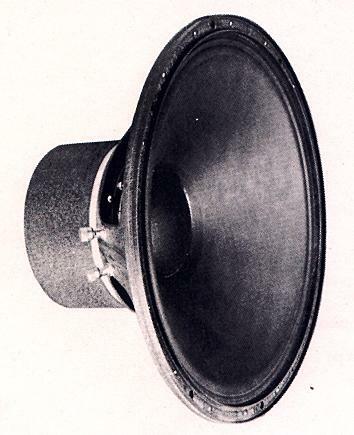 NOTE 2 - When the original 24 ohm impedance is not required, use the diaphragm manufactured for the Altec Lansing 299-8A, Altec original part #25884 (8 ohms), or the diaphragm manufactured for the Altec Lansing 299-16A diaphragm, Altec original part #25885. NOTE 3 - For superior HF reproduction, use original diaphragm. If higher power handling is required, but excellent HF frequency response is also needed, use diaphragm #25884 (8 ohms). Call us if you need advice on the proper selection of a diaphragm for your particular application. NOTE 4 - For superior HF reproduction, use original diaphragm. If higher power handling is required, but excellent HF frequency response is also needed, use diaphragm #25885 (16 ohms). Call us if you need advice on the proper selection of a diaphragm for your particular application. 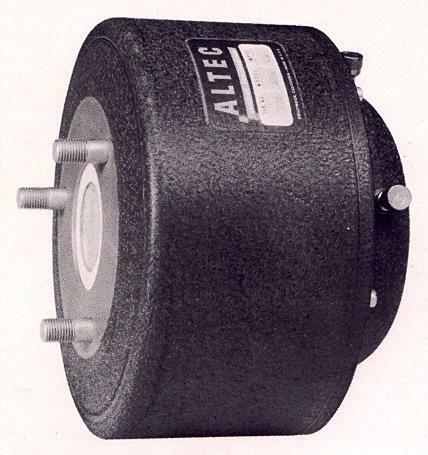 NOTE 5 - ALL older Altec drivers must use a 288/291 or 800/900 Series Conversion Kit in order to be retrofitted with ANY Altec Lansing Diaphragm manufactured after 1983. 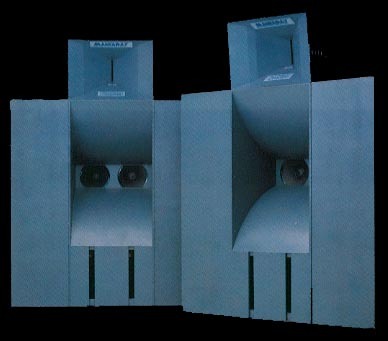 Every Altec Lansing driver manufactured before 1983 will require one of these kits the first time a post-1983 diaphragm is installed in it. © Great Plains Audio, Inc.
or you can buy a new style diaphragm and a conversion kit. NOTE 6 - For superior HF reproduction, use original diaphragm. If higher power handling is required, but excellent HF frequency response is also needed, use diaphragm #25884 (8 ohms). Call us if you need advice on the proper selection of a diaphragm for your particular application. NOTE 7 - For superior HF reproduction, use original diaphragm. If higher power handling is required, but excellent HF frequency response is also needed, use diaphragm #25885 (16 ohms). Call us if you need advice on the proper selection of a diaphragm for your particular application. NOTE 8 - Symbiotik® diaphragms are no longer available. If high power handling is required, but excellent HF frequency response is needed, use diaphragm #25884 (8 ohms). For superior HF reproduction, use diaphragm #23763 (8 ohms). Call us if you need advice on the proper selection of a diaphragm for your particular application. NOTE 9 - Symbiotik® diaphragms are no longer available. If high power handling is required, and excellent HF frequency response is also needed, use diaphragm #25885 (16 ohms). For superior HF reproduction, use diaphragm #23834 (16 ohms). Call us if you need advice on the proper selection of a diaphragm for your particular application. NOTE 10 - For superior HF reproduction, use original diaphragm. If high power handling is required, and excellent HF frequency response is also needed, use diaphragm #26420 (8 ohms). Call us if you need advice on the proper selection of a diaphragm for your particular application. NOTE 11 - For superior HF reproduction, use original diaphragm. If high power handling is required, and excellent HF frequency response is also needed, use diaphragm #26421 (16 ohms). Call us if you need advice on the proper selection of a diaphragm for your particular application. NOTE 12- Original 4 ohm diaphragms available only by special order. For superior HF reproduction, use diaphragm #34647-4 (4 ohms). NOTE 13 - Symbiotik® diaphragms are no longer available. If high power handling is required, and excellent HF frequency response is also needed, use diaphragm #26420 (8 ohms). For superior HF reproduction, use diaphragm #34647 (8 ohms). Call us if you need advice on the proper selection of a diaphragm for your particular application. NOTE 14 - Symbiotik® diaphragms are no longer available. If high power handling is required, and excellent HF frequency response is also needed, use diaphragm #26421 (16 ohms). For superior HF reproduction, use diaphragm #34852 (16 ohms). Call us if you need advice on the proper selection of a diaphragm for your particular application. NOTE 15 - Symbiotik® diaphragms are no longer available. For superior HF reproduction, use diaphragm #34647-4 (4 ohms). Call us if you need advice on the proper selection of a diaphragm for your particular application. ALTEC LANSING 418B LF R918/421-8 Molded Fiber 8 ohms Specify .5"
ALTEC LANSING 418-8H LF R918/421- Molded 8 ohms Specify .5"
ALTEC LANSING 418-8H II LF R918/421-8 Molded Fiber 8 ohms Specify .5"
providing it is not changed or altered in any way from it's original form, and clear reference is given as to it's origin. 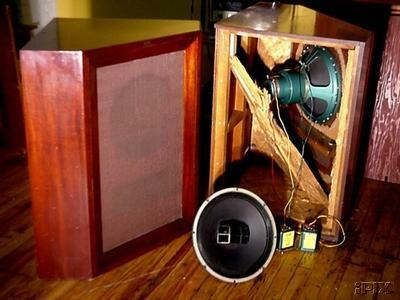 Altec Lansing is a registered trademark of Altec Lansing Technologies Corporation. Tangerine, Mantaray, and Iconic are registered trademarks of Iconic Manufacturing Company, LLC.